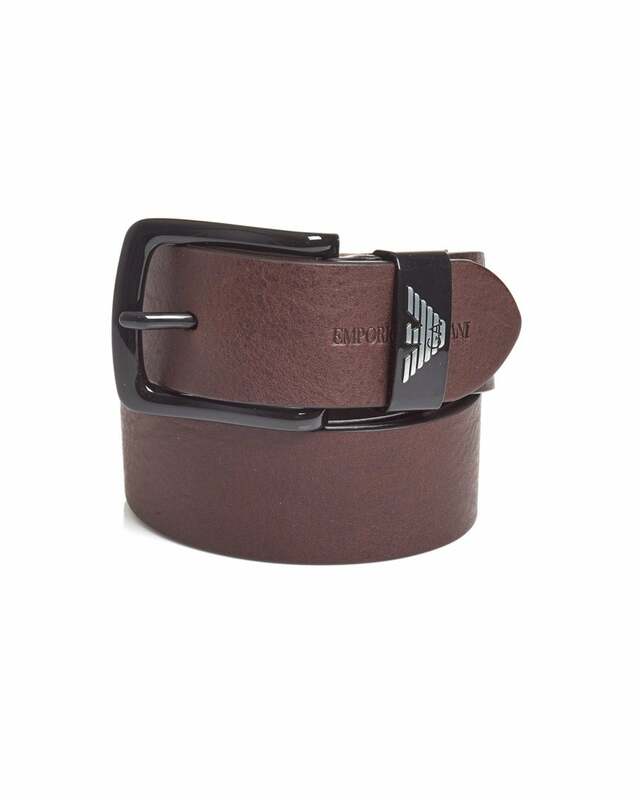 Style your casual wear with this versatile black leather belt by Emporio Armani. Featuring a branded metal buckle and a sleek grained leather feel, adding sophistication to your off-duty looks. Pair with some blue Nudie Jeans and leather shoes.